Councillor Rennie was appointed to the Authority in June 2007 by Wirral Council where she represents Wallasey Ward. She is a Member of the Conservative Group and is an opposition Spokesperson on the Authority. She serves on the Policy and Resources Committee, the Appeals Committee, the Appointments Committee and the Audit and Scrutiny Sub-Committee. 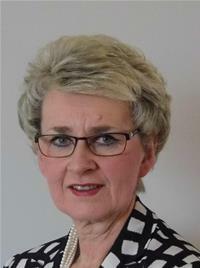 Councillor Rennie also sits on the Authority’s Member Development & Engagement Group; and is the appointed Lead Member for Operational Preparedness. In addition, Councillor Rennie the Authority’s appointed Opposition Member on the North West Fire and Rescue Advisory Forum.